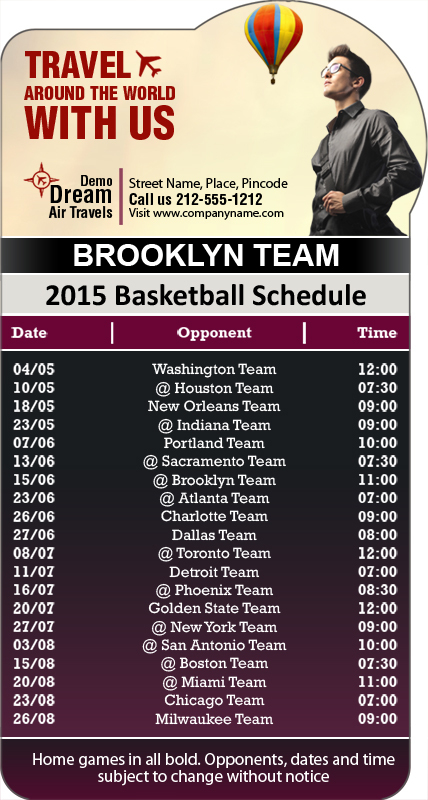 Promotional 3.875 x 7.25 inch one team Brooklyn Team bump shape basketball schedule air travels magnet makes a excellent gifting choice for air travel services. Marketers can choose to gift it during service or some promotional events. This magnet stands high chances of acceptance because people are always crazy about each ounce of basketball information that they can lay hands on when season is in progress. 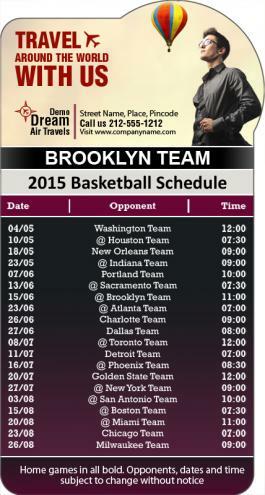 Also, they are likely to keep it over their refrigerator doors as a sports memoir, when the season rolls off. Product Size: 3.875 in. X 7.25 in.